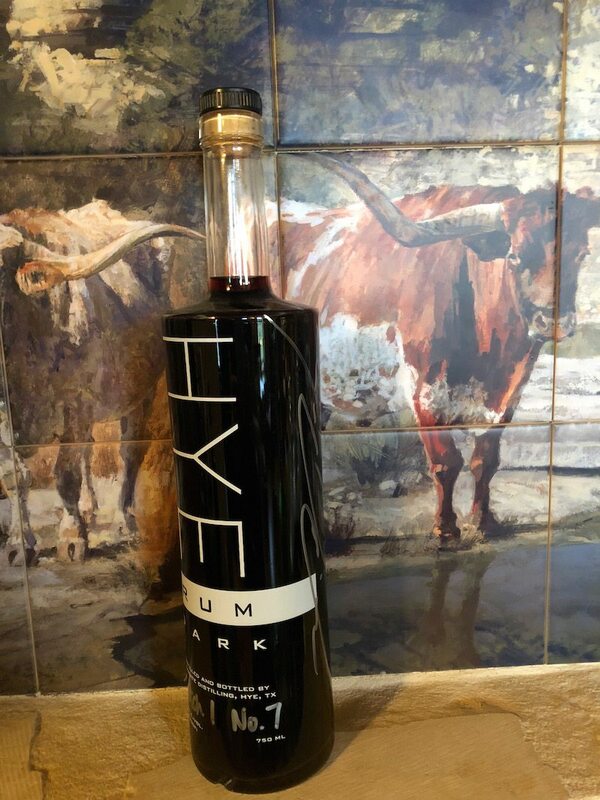 The other evening, we attended the first anniversary celebration at Hye Rum. We looked forward to it because their grand opening had been a blast. Tired from a long day at work, there was no way I was going to miss an evening under the stars. There’s nothing like rum to bring out the beach bum in me and even though the weather is awesome in Texas Hill Country, there’s nothing that beats a night under the stars on the beach. Or at least the illusion of it. Hors d’oeuvres included plantain chips, spicy tortilla chips, and crisp flatbreads with a choice of mango salsa, spicy tomatillo avocado dip, and a spicy bean dip. Dinner was wonderful and included curried shrimp and rice with cilantro, 2 Caribbean style dishes of pork and chicken, and rum soaked cake with whipped cream, but the cocktails were even better. I am always up for a well mixed craft cocktail. They started everyone with rum punch (bring-you-to-your-knees-full-on-beach-pumping-punch), but from there you got to pick your own. I picked the Dark and Stormy. It is refreshing–the evening was warm–and it reminded me of Mariah, one of my beloved characters. Yes. Writers fall in love and in hate with their characters. 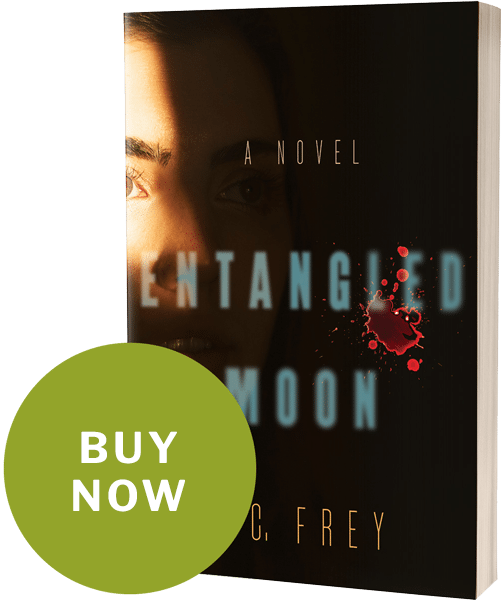 While Mariah was not in the big scene in Entangled Moon that occurs on a dark and stormy night, she weathered one of her own in a dream storm. Storms are mighty natural thrillers and I can’t imagine a better backdrop to any suspense thriller. So, that night I celebrated Mariah. 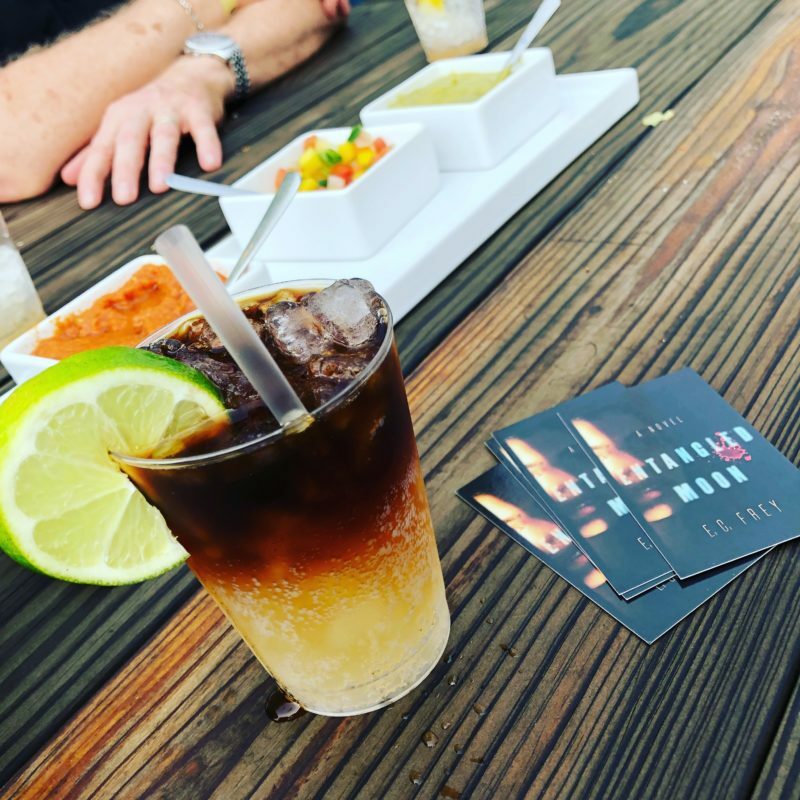 If you like rum, grab a ginger beer, dark rum (preferably Hye Rum), a lime, and some ice, mix a Dark and Stormy, and sit down for a night of suspense. Better yet, take your Dark and Stormy, a flashlight, and a blanket and watch the lightening bugs dance on a dark and delicious summer breeze.